Beckman Coulter Biomek FX Automated Multichannel Liquid Handler Pipette 717013 . New Life Scientific, Inc. Backed by a 90-day warranty, this instrument offers great value at its current price. 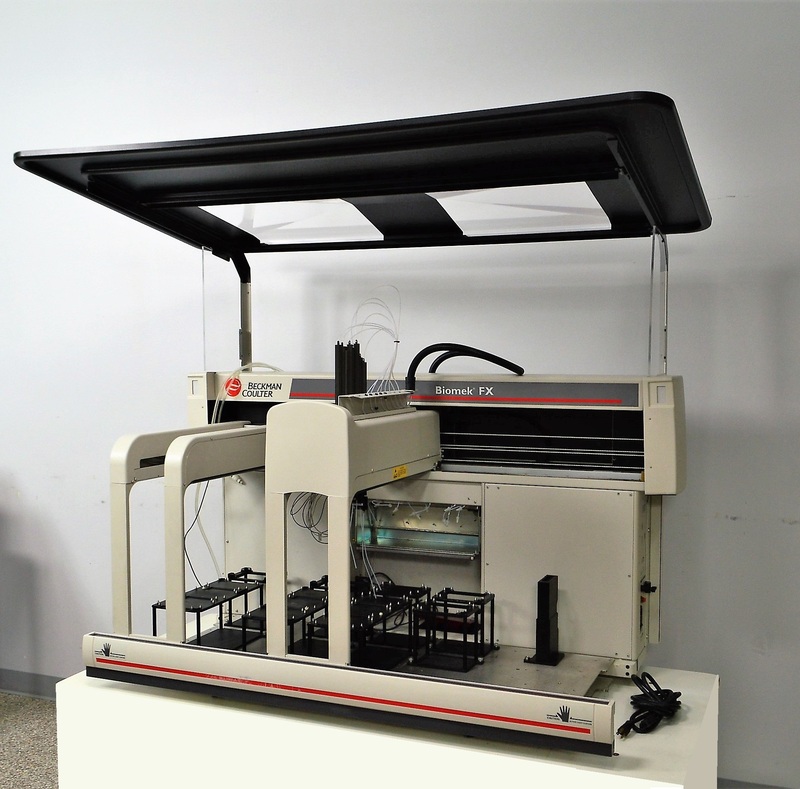 It is ideal for a customer that already has the required software to run a Biomek FX system and would like to add another instrument to their lab bench. The Biomek FX features a safety sensor that acts as an emergency stop, immediately halting robotic movement if something enters the monitored light curtain. There is one Span-8 pod and the arm underwent tension after the technician manually moved it along the path. The status light blinked amber and then green, but software is required to operate this automated system. There were empty syringe pump assembly and some disconnected hosing; this system was likely set-up for a specific task, but we cannot confirm where to reconnect the remaining tubes or why the original owner removed them. The technicians are confident this is a functional pipetting workstation that requires control software.